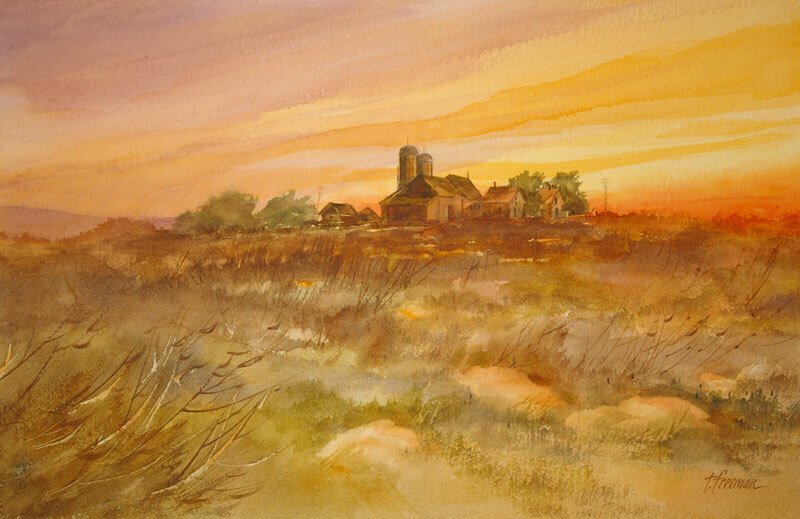 Thomas Freeman Original Watercolor Painting: "Red Sky at Dawn"
This old farm out in the middle of a field is reminiscent of so may in the Midwest. A red sky portends a stormy day, (as the sailors say). To paint the rocks, I pulled out color with a rag while the painting was still wet. I do love rocks and weeds.